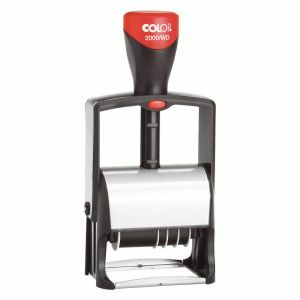 Colop self inking stamps with the most popular stock texts for office and business use. The smallest self inking phrase stamp with 12 different phrases for the office. The words are 4 mm high and 20 mm wide. Simply rotate the bands to change the text. 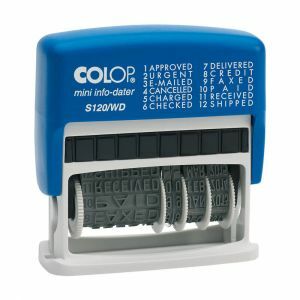 The smallest self inking phrase stamp - 12 different office phrases followed by a date. 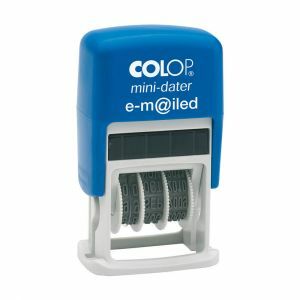 A very small self inking dater with either RECEIVED or PAID or EMAILED or FAXED text. Heavy duty self inking phrase stamp - 12 different office phrases followed by a date. The words are 4 mm high and 22 mm wide. Simply rotate the bands to change the text. RECEIVED self inking stamp - selection of ink colours available. 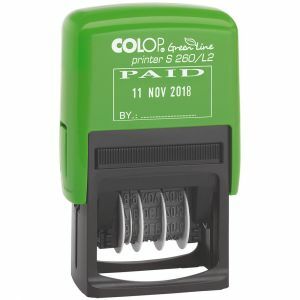 FRAGILE self inking stamp - selection of ink colours available. ORIGINAL self inking stamp - selection of ink colours available. 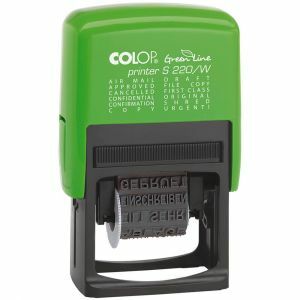 APPROVED self inking stamp - selection of ink colours available. DO NOT BEND self inking stamp - selection of ink colours available. DRAFT self inking stamp - selection of ink colours available. ORIGINAL COPY self inking stamp - selection of ink colours available. OVERDUE self inking stamp - selection of ink colours available. 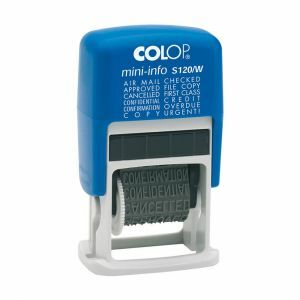 PRIVATE & CONFIDENTIAL self inking stamp - selection of ink colours available. RETURN TO SENDER self inking stamp - selection of ink colours available. URGENT self inking stamp - selection of ink colours available.